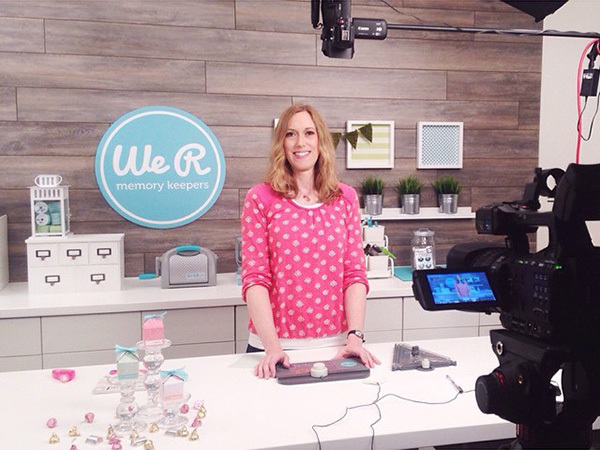 Last week I had the pleasure of spending another day at American Crafts headquarters filming some more video tutorials for the We R Memory Keepers YouTube channel. I'm so excited for these videos--they're really going to give We R fans some great project ideas and tips for using their awesome tools. They're basically giving away free crafting classes! How awesome is that? The amazing videographer, Mikey, is working on fine tuning them and then they'll be released on YouTube and I'll let you know as soon as they are. So exciting! This time I was treated to a special surprise. The marketing director, Tauni, invited a local makeup artist to come in a prep me for the video shoot. How fun is that? Wish I had a before, but here's the after. I felt like a princess! 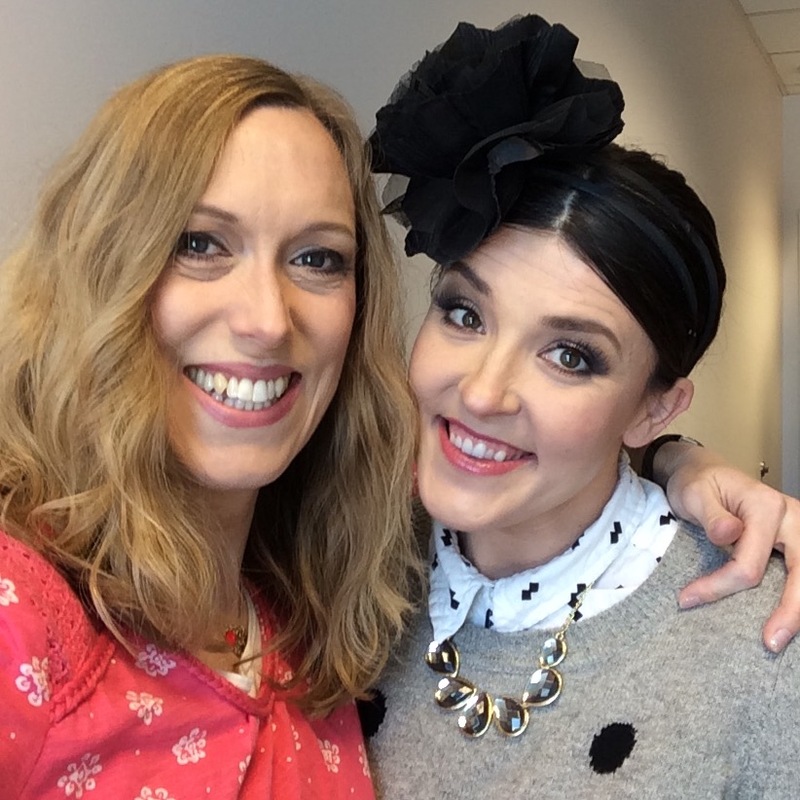 And this is the adorable and super talented artist who did her magic on my face! 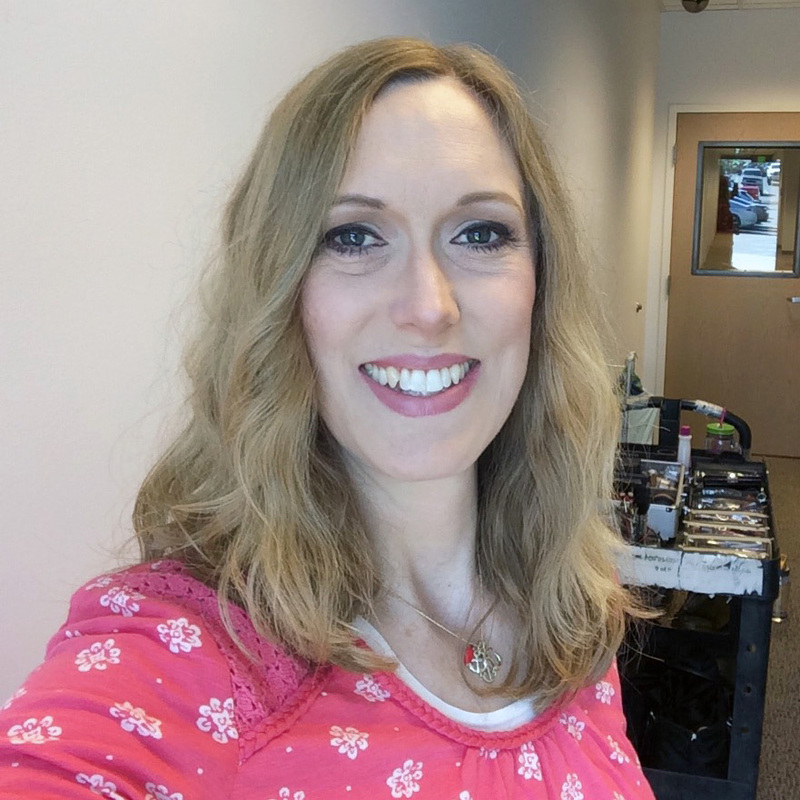 Jen Springer of Classy Cosmetics captured who I am, bringing definition and contour to my face on camera without making me into something I'm not. I felt totally comfortable (and beautiful) with her make up job, and she was such a pleasure to work with. She's a strong, independent, and focused woman that is also fun, spunky, and full of creativity. Here's a shot she took of me on set. Too fun! We got some great videos shot that day--I can't wait for you to see them. How exciting! I'm looking forward to seeing the new videos!